Wireless services leader Smart Communications, Inc. (Smart) today introduced Big Bytes, an all-new lineup of volume-based mobile Internet and broadband packages that provide the most amount of volume data allowance available in the market today—plus FREE access YouTube, SkypeQik and SPINNR—all in one affordable package. For all their surfing needs, prepaid and postpaid Smart subscribers can now opt to subscribe to the newly launched Big Bytes data packages, such as Big Bytes 50 that includes 300MB of volume data allowance for just P50, valid for three days of mobile surfing. With volume-based packages like Big Bytes 50, subscribers only pay for the data that they consume. These new packages offer much more for what users need to do online—whether it’s posting on Facebook and Instagram, checking their emails, or searching information for school projects on Google—and comes with FREE volume allowance for music and video streaming, as well as video conferencing with friends, on top of their subscriptions. “Whether they’re casual social networking browsers or heavy multimedia downloaders, Smart has a Big Bytes package that are available for them,” Curran added. By subscribing to the Big Bytes 50 package, for example, users can enjoy 300MB of fast, fun, and worry-free mobile surfing for three days—more than enough to post all-day updates on Facebook, browse their favorite blogs, chat away with friends on LINE, WhatsApp, or Viber, or even download one episode of theirr favorite TV series and watch it during the break. To make things more fun for users, Smart has also also partnered with Google to bring YouTube closer to its millions of subscribers. Being the undisputed number one site visited for video streaming and the second top internet activity,YouTube serves the most engaging and entertaining video content online—and now subscribers can enjoy all the latest viral YouTube videos when they subscribe to any Big Bytes package. With a Big Bytes 50 subscription, they can also enjoy video-chatting with friends on SkypeQik, the coolest group video-messaging service from Skype, with an additional 100MB of volume data allowance they can use for both YouTube and SkypeQik. Smart has also boosted the package by including an additional 500MB worth of music streaming with a Big Bytes 50 subscription through SPINNR, the country’s first unlimited music streaming service that’s available for iOS and Android phones, as well as via the web through spinnr.ph. Big Bytes packages are available starting at P5 for one-day 5MB access, up to P799 for 30-day 4.5GB access. 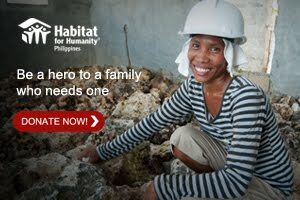 To subscribe, text BIGPACKAGE DENOMINATION (ex. BIG 50) to 9999, or subscribe to a package by accessing the Smart Bro Dashboard. 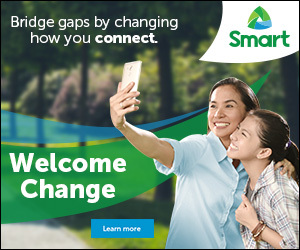 The new Smart Big Bytes packages are available to all Smart prepaid, postpaid, and broadband subscribers nationwide until May 15, 2015. For more information on these new offers and how you can maximize them, simply visit smart.com.ph/bigbytes.